In the 1980s, many people talked about the transition from the "Industrial Society" to the "Information Society." In the 1990s, people began to talk about the "Knowledge Society." I prefer a different conception: the "Creative Society." As I see it, success in the future (for individuals, for communities, for companies, for nations as a whole) will be based not on what we know or how much we know, but on our ability to think and act creatively. Unfortunately, current educational practices are woefully inadequate. In this talk, I will discuss new technologies and new educational initiatives developed specifically to help children learn to design, invent, and express themselves creatively -- so that they are prepared for life in the Creative Society. Bio. Mitchel Resnick is Professor of Learning Research at the MIT Media Laboratory, where he develops new technologies and activities that engage children and teens in creative learning experiences. Resnick's research group developed ideas and technologies underlying the award-winning LEGO Mindstorms and PicoCricket construction kits. He co-founded the Computer Clubhouse project, a network of after-school centers where youth from low-income communities learn to express themselves creatively with new technologies. Resnick earned a BA in physics at Princeton University (1978), and MS and PhD degrees in computer science at MIT (1988, 1992). Resnick has consulted throughout the world on the use of computers in education. 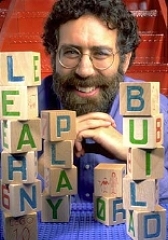 He is author of Turtles, Termites, and Traffic Jams (1994), co-editor of Constructionism in Practice (1996), and co-author of Adventures in Modeling (2001). Human beings need to connect: to themselves, to each other, and to the objects of their affection in the world in which they live. We know that without touch, an infant will die, without affection the human body's necessary neuro-physiological development is deeply impaired. We also know that our technologies are becoming smaller and more powerful. So what does Maslow's Hierarchy have to do with Moore's Law? Mobility, connectivity, invisibility, intimacy are not only key-words, but are becoming key-content, and even key-process. What was the search-key is becoming the sought after-object of our desire: our experience of ourselves through our technologies. As we live with our technologies, and the experience of ourselves through our technologies, we develop attributes with which to design. Palpable, intense, easily observed, able to be felt by the hands: these attributes describe the meaning-making process in which we engage. But the face of our technologies is dissolving before our very eyes. For example, research in smart fabrics technologies includes the development of flexible circuits and flexible computing embedded within textiles and fabric polymers. Within a handful of years the set-top box, the portable computer, the cell-phone, the game controller, and the i-pod will no longer be physical necessities: form factor will become an imaginative choice, no longer a physical constraint. Shape-shifting will no longer be science-fiction but will become a feature set in wireless applications. As 'intensity' is a descriptor of quality, and sensory qualities are measured in human experience, so our own data, our own body states are a fluid mapping of qualities of experience that may appear invisible, but remain material, and are able to be felt by the hands. This talk will describe my research in embodied design and embodied engineering. Based in somatics and performance, I will share exploratory design techniques that model novel approaches to gestural interaction, tactile inputs, and movement interfaces in the context of expressivity, wearability, the return of the small, and the palpability of the invisible. Bio. Thecla Schiphorst is a Media Artist, and an Associate Professor in the School of Interactive Arts and Technology at Simon Fraser University in Vancouver, Canada. She is the Director of the whisper[s] research group, an acronym for: wearable, handheld, intimate, sensory, personal, expectant, responsive systems. 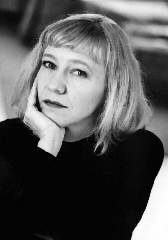 Her formal education and training in computing and dance form the interdisciplinary basis of her work, which integrates experiential physical practices and methodologies with computational models of representation. She is a member of the original design team that developed Life Forms, the computer compositional tool for choreography and has worked with Merce Cunningham since 1990 supporting his creation of new dance with the computer. She is the recipient of the 1998 PetroCanada award in New Media awarded biennially to a Canadian artist, by the Canada Council for the Arts. Her media art installations have been exhibited internationally in Europe, Canada, the United States and Asia. Her current research is centered in embodied design and engineering, crossing boundaries between somatics, physical interaction and performance.